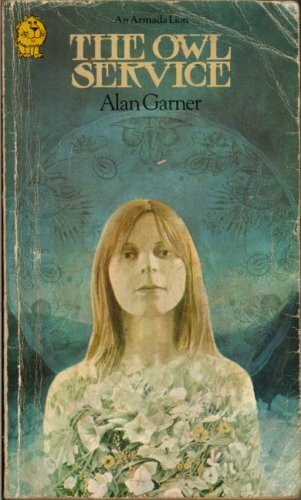 I cannot remember when I first read Alan Garner’s The Owl Service (1967); like its inspiration, The Mabinogion, or the Stone of Gronw that sits at the centre of its mystery, it seems to have always been here. It’s an unusual feeling because the novel is not particularly old by standards of literature – it turns fifty on the 21st of August – and yet it consistently feels old. It may carry the trappings of a very particular analogue period of the twentieth century – with its 35mm cameras in particular playing a vital role – but Garner’s connection with a deep, unfolding history allows The Owl Service to function very much like an antiquarian text. This is in contrary to the actuality of the writing which is deeply modern in form, experimenting with voice and perspective in ways that still seem daring today. This short novel, publicised and award-winning in its aim towards younger readers, feels dug up out of the grown and yet constructed through accumulated tellings by modernists at the fireside; evolving with every evening’s version adding layers of crumbly mystery. 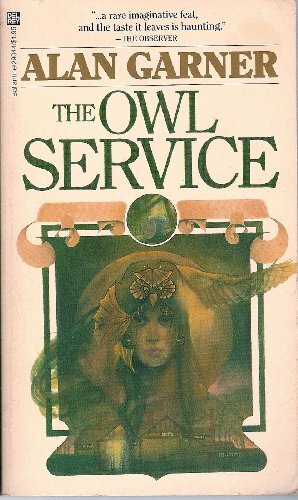 Garner began writing The Owl Service after a number of coincidences. The first was being given a dinner service patterned with the owl/flower motif where the flowing design was effectively owls made of flowers, or perhaps flowers made of owls. The plate was designed by Christopher Dresser and typically fed into the Cheshire writer’s propensity for drawing overtly on his everyday life and surroundings, even when writing and considering narratives of fantasy. The reality of place in particular always comes first in Garner’s work. The second coincidence was a trip that Garner took to visit Bryn Hall in Dinas Mawddwy. The house and the surrounding valley seemed a perfect landscape in which to begin a continuation of The Mabinogion; the twelfth and thirteenth century collection of Welsh tales divided into branches of legend, myth and adventure. The Owl Service is in itself an unearthing of the branch that concerns Math Son of Mathonwy, telling of a love triangle and the jeopardy that comes from a betrayal. 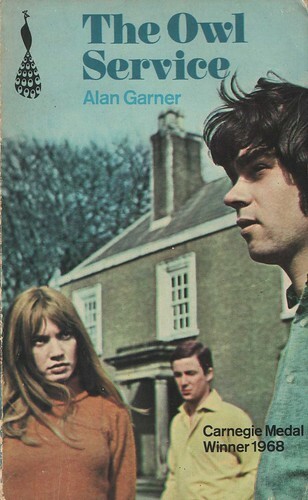 Garner’s narrative follows Alison and her new step-brother, Roger, who are taken to the Welsh valleys by their newly wedded parents to their holiday cottage which resides deep in the countryside. The house is maintained by a groundskeeper called Huw, a housekeeper called Nancy, and her young son, Gwyn. When Alison hears a scratching noise in the roof above her bedroom, Gwyn goes to investigate and finds a dinner service covered with a strange design, part owl-like, part flower-like. Alison begins to make cut-outs of the flowers, making them into owls before the designs disappear. Eerie events begin to unfold as the tale of Blodeuwedd from The Mabinogion‘s branch manifests within the household. Blodeuwedd was at the centre of an ancient love-triangle between Lleu – who had her created for him as a wife out of flowers by the magicians, Gwydion and Math – and Gronw, with whom she has an affair and plots with to murder Lleu. The triangle and its fallout begins to exert its force over the present-day young trio as the spirit takes hold of Alison. Photography of the nearby Stone of Gronw, a genuine menhir relic that sits in Afon Bryn Saeth, reveals mysterious figures – a man hurling a spear and another riding a motorbike – highlighting that the love-triangle had previously arisen between Nancy, Bertram and Huw, the latter turning out to be Gwyn’s father. Garner’s novel defies description. If it is fantasy it is hardly told in a typically fantastical way. In fact the writing is split largely between pages of dialogue and pages of place description. It feels experimental in such a binary, the fragmented nature between the people and the landscape overlapping one another until the eventual finale where the modern characters are forced to defy the branch in order to save Alison. I remember my first impression of the novel, whenever that may have been formed, being one largely built of landscape. I failed to remember how fantastical or even ghostly some of the odder moments are. Instead of conjuring memories of figures appearing in photographs or ghostly talons scratching faces, the novel was about hills, flowers andrivers: “Alison sat in the shade of the Stone of Gronw among the meadowsweet. Clive stood in the river.” (1967, p.88). The core theme of place retaining a trace of historical and cultural happening is a key Folk Horror motif, especially when that place is explored rigorously and aesthetically through its landscape aesthetics. I feel these landscapes more so than others presented in most fiction, even by Garner. There’s a sense of Garner continuing on from the tradition of the Gawain poet, that sense of old English and Welsh that is essentially normal to the place names I’ve been surrounded by on The Wirral. Even North Wales is in a sense part of my growing up and so, to be confronted by such landscapes, places that had simply not been present in my reading up to then, was a shock. I felt the floor drop in later years when I found out that the subsequent television adaptation in 1969 by Granada had actually used a house in Bromborough for filming due to Bryn Hall denying permission. I lived not all that far from this place – the house of Roger Lancelyn Green which lies adjacent to the site where the Battle of Brunanbruh is supposed to have occurred – and it further cemented the idea in my mind that Garner was the only writer I had come across who was fluent in the sort of places that were mine. Approaching fifty and with a huge burst of critical acclaim from seemingly all areas in recent years, the novel defies so much of the labelling that even I have attached to it. It is genreless and peerless (even in the work of Susan Cooper) because it is so stubbornly fixed, so unafraid of how people express themselves and how, ultimately, we are at the mercy of our history interred in our landscapes. Garner’s novel doesn’t learn from history or its landscapes, it becomes such history and landscapes. I only discovered The Owl Service recently and read it for the first time earlier this year. It’s certainly a book of dualities – it feels old yet is modern in form, it moves between dialogue and description of landscape, and of course (without giving too much away in spoilers) the main characters have their own mythical dualities. I think the feeling of age is not so much that it feels old, but that it feels out-of-time, partially existing in an atemporal myth time, but I’m probably just splitting hairs.